I had originally planned part one of this blog series to be a stand-alone article, but it was obvious from some of the responses that there are some big gaps in a lot of people’s knowledge about the Celts and the Picts, and that people would like to hear more. I tend to forget that not everyone reads my regular research newsletter, which has had several articles over the years on the Celts and their origins. (To subscribe go to www.eirny.com and sign up in the right hand column.) So first a bit about the Celts as a category of people and then more specific info on the Picts. It is known that the Celts migrated across Europe. The first official recognition of the Celts as a group was the Hallstatt culture of Austria. This article gives a good summary of the controversies and thoughts about the Celts and their migration across Europe. But genetically, who are the Celts? We can start to answer this question by looking at who the ancestors of the people of Ireland were. First, I need to mention an issue that is sometimes problematic in genetically isolated populations. When a population is founded, the gene pool only has so many variations, and a small gene pool tends to concentrate genetic disorders. This is called founders effect. And yes, the Celts seem to suffer from this. But when did the genetic issues arrive in Ireland? Well, a study of several ancient inhabitants of Ireland has yielded some very interesting results. It is a tiny sample, but it provides some very interesting insights. I am hoping that this sort of work will someday be able to be done on Pictish graves, as more quality archaeology is done in Scotland. The Picts do not appear to be as genetically isolated as the Irish were (more about that later), but the more DNA examples we have, the more we can begin to understand the origins of the various groups of Celtic peoples. I ran across a very interesting article about Celtic languages during my research. I remember several years ago wandering around in some data bases that were discussing the number of languages that were spoken in the various countries of Europe. 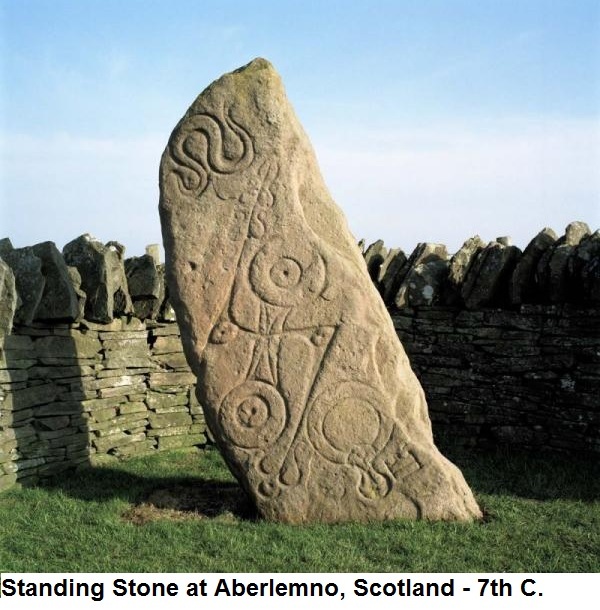 There were dozens of extinct and semi-extinct languages, many of which had Celtic origins. It really is quite amazing to consider the complexity of it all, and this article does a great job of explaining when the Celtic language arrived in Europe, and at least some of the branches that the language split into. So back to the Picts. Why is there such an issue about finding information about them? It seems that the majority of Pictish finds have been in the form of hoards and standing stones. When settlements have been found, they are usually discovered through coastal erosion, and they are badly damaged. This article reveals the typical Pictish site that has been excavated in the recent past, “phases I and II (of occupation) were Pictish and phases III-V were Norse; a sixth and final phase of activity was represented by a Viking-age burial inserted into the ruins of the last farmstead”. Not exactly the most revealing discovery. This entry was posted in Uncategorized and tagged Celts, Pictish Art, Pictish language, Pictish symbols, Picts by Eirny. Bookmark the permalink.